Every year it feels like it’s been the longest winter in West Michigan. The polar vortex gave us even more reasons to be excited about nicer weather soon. Calendars are getting filled with outdoors activities and festivals. Grand Rapids’ Westside is no exception. On Saturday, April 13th, the annual Westside cleanup is taking place at the John Ball Zoo. This year, a whole new celebration will be part of the day that will enhance community engagement and family time outdoors! The Westside Cleanup is a signature event during the spring where hundreds of residents and neighbors come together with one main goal, make sure the neighborhood is clean and ready to be enjoyed during the summer season. A much smaller event started in 2008 at Union Square, where residents Brian and Erica Curry VanEe lived and decided to organize a group of fellow Westside neighbors to start cleaning up the streets after a brutal winter. Through the years, the community effort kept adding attendees and spreading throughout Grand Rapids first ward until it reached its biggest turnout yet, at 600 people last year! With the years, a community celebration was implemented to make participants feel proud of their hard work for their neighborhood with a free meal, beer and entertainment afterwards. This year will be the second time that the event will be hosted at the John Ball Zoo. After the participants return from streets, the community celebration will be bigger than ever. There will be FREE food from local restaurants including JC Pizza, El Granjero, Kitchen 67 and more. The Grand Rapids Children’s Museum will be in charge on kids’ activities. Local band, Cabildo, will be playing Latin-American-inspired rhythms. In addition to the fun, the John Ball Zoo will be donating tickets to their Super Hero’s Day from noon to 4:00p.m. that same day, April 13th. New this year, Friends of Grand Rapids Parks will be teaching a Tree-planting class for residents; it’s a great opportunity to have children learn about the importance of green spaces. The Westside Outside will be a fun and engaging event for the whole family. Each year, it takes a lot of planning and collaboration from many partners; from neighborhood businesses to non-profits, from residents to families, it’s a fun time to be outdoors! Dana Mate Dones has been involved with the Westside cleanup for 6 years and says she’s really excited about the event every year. “I think it’s something very positive for the neighborhood,” Dana shared. “It’s good for neighbors to enjoy that face time while collectively cleaning the streets and create awareness of waste food print, as well as the tree planting efforts that will have long-run measures in the years to come.” Dana is Operations Manager for the Mitten Brewery as well as the Board President of the Mitten Foundation for a few years now. Her involvement in the planning committee includes the liquor’s license and in-kind donation of beer for the community celebration. Jim Davis, Executive Director of Westside Collaborative [one of the main event organizers] expresses his excitement about the added features of the already well-known event. "To say the least, we've experienced a lot of changes on the Westside. Some good. Some not so good." Jim explains. 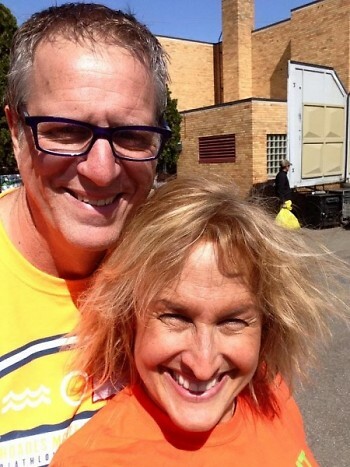 "The Westside Cleanup has always celebrated the things I cherish about our community. I expect to see even more neighbors and friends, even more familiar faces from local companies and organizations, and plenty of allies who are doing their best to embrace the changing neighborhoods and those who call them home. 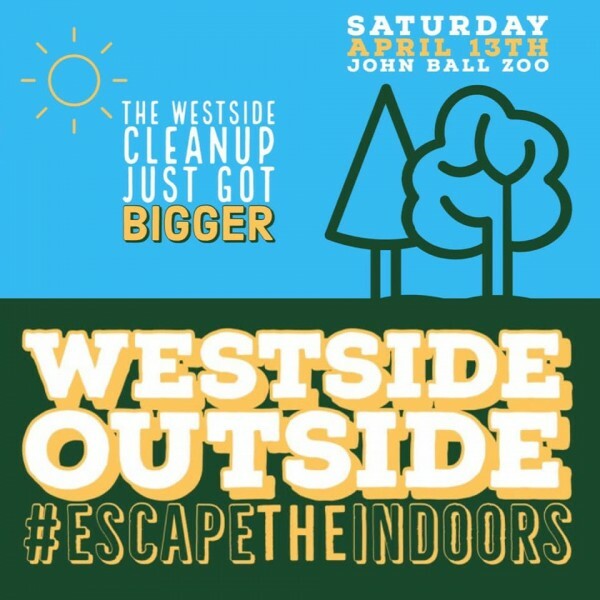 I'm excited to see more agencies part of the planning process and am thrilled to see the WESTSIDE OUTSIDE event continue the Community Cleanup traditions while embracing the coming of Spring and all things outdoors."